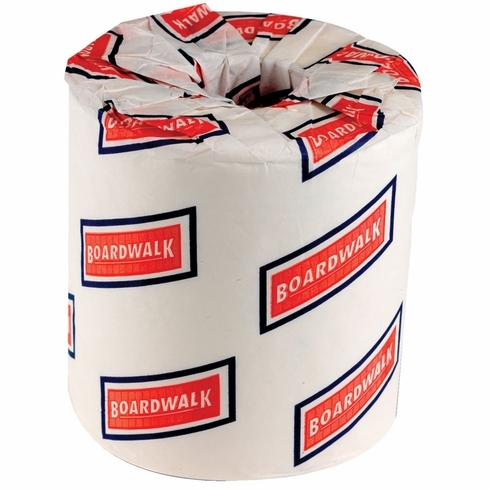 Boardwalk White 2-Ply Bulk Toilet Tissue, 4.5" x 3" Sheet Size (BWK6180) No business can ever afford to run out of toilet paper, which is why it just makes sense to purchase larger quantities of bulk toilet paper at a time. Better yet, when you're buying wholesale toilet paper from Environmental Safety Services not only will you be sure that you never run out, but you'll be taking advantage of the great wholesale pricing, and save yourself a bundle on this always necessary item. This is some of the best bulk toilet paper available. It is strong and two-ply embossed white tissue. The product looks and feels as good as or better than any product that you can buy retail, but is available at wholesale toilet paper prices.